Tesla’s market value reached $48.7 billion. The US automakers are experiencing a dip in auto sales, but this is not the case when we talk about California-based electric car manufacturer Tesla. On last Monday, Tesla overtook Ford for the first time, ranking itself as the second most valued automaker in the US. Tesla’s stock surged on Monday when the company reported a 69% rise in the first-quarter sales compared to the same period last year. 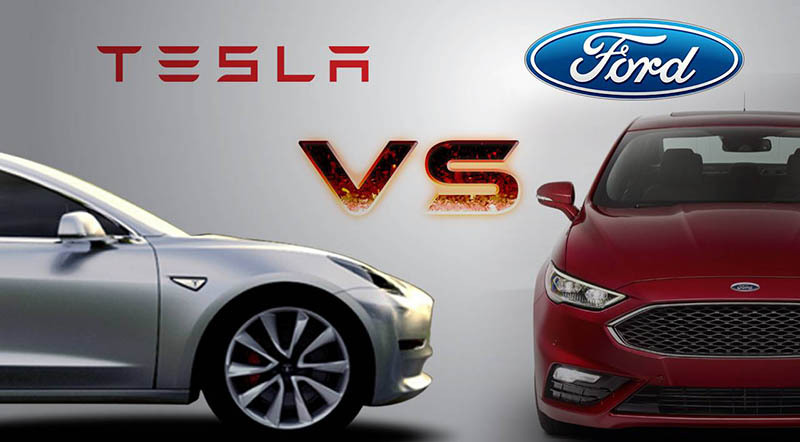 As a result, Tesla’s market value reached $48.7 billion, whereas Ford was on $45.6 billion due to weak sales in March. General Motors stood at number one with $51.2 billion market value. No doubt, both Ford and GM are sailing smooth achieving healthy profits, but Tesla shows promise for intense growth over the coming years. Elon Musk believes Tesla will change the course of automotive industry by working on two futuristic trends i.e. shift to electric vehicles and self driving. Despite the fact that Ford and GM have been the biggest beneficiaries in the previous years, they could not manage to convince Wall Street that they are developing high-tech electric and self-driven vehicles. Even though they are making strong efforts, both corporations sit low in price-to-earnings ratios for the firms that form the Standard and Poor’s 500 index. Compared to Ford’s 234,000 sales and GM’s 256,000 sales last month in the US, Tesla sold only 4,000. But it is not the numbers that interest investors, but the technology Tesla is using, which promises good gains in the future. Tesla is also more prone to stock changes, as there are minimal shares available for investors. Any interesting news from Tesla sparks interest and attracts individual investors.